Description: Terra Organic Spa is a massage therapy and skin care based health spa, offering professional services to support positive transformation in people's lives. We design your massage therapy sessions for relaxation, rejuvenation, pain relief and injury prevention. 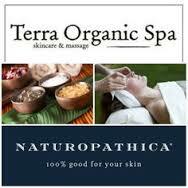 Skin care treatments are designed to provide results using organic products and clinical methods. We are customer focused and strive to enhance your health and assist you in meeting your personal goals. 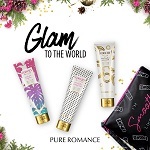 Description: I own a Pure Romance business where I do fun in-home parties for adult women educating them on the benefits of our products. 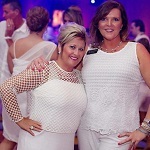 Specializing in helping other women realize and achieve their dreams. Profile: With the best in bath, beauty, lingerie, and intimacy items, it's easy to find something you'll love. When you place your order from me from this private, secured site, your order will arrive at your home promptly and wrapped in discreet packaging. What are you waiting for? Let's shop! Wish list longer than expected? No problem! When you host a party with me, you receive a free gift plus a percentage of your party sales to use toward the product you love-all for having a night of laughs your friends will never forget. Hosting is always free and always fun, so call me to book your party today! Check out our signature line in bath, beauty, and intimacy items, it's easy to find something you'll love.